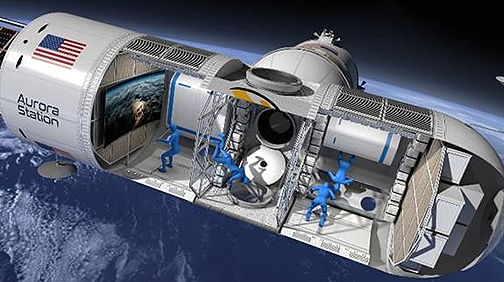 The first luxury space hotel was introduced during the Space 2.0 Summit in San Jose, California. Named after the magical light phenomenon that illuminates the Earth’s polar skies, Aurora Station is being developed by Orion Span and the company’s team of space industry veterans, who possess more than 140 years of human space experience. Artistic rendition of the luxury hotel is courtesy of Orion Span. Aurora Station will operate as the first luxury hotel in space. The exclusive hotel will host six people at a time — including two crew members. Space travelers will enjoy a completely authentic, once-in-a-lifetime astronaut experience with extraordinary adventure during their 12-day journey, starting at $9.5 million per person. Deposits are now being accepted for a future stay on Aurora Station, which is slated to launch in late 2021 and host the first guests in 2022. The fully refundable deposit is $80,000 per person and can be reserved online at this direct link. During their stay on Aurora Station, travelers will enjoy the exhilaration of zero gravity and fly freely throughout Aurora Station, gaze at the northern and southern aurora through the many windows, soar over their hometowns, take part in research experiments such as growing food while in orbit (which they can take home with them as the ultimate souvenir), revel in a virtual reality experience on the holodeck, and stay in touch or live stream with their loved ones back home via high-speed wireless Internet access. While in space, Aurora Station guests will soar 200 miles above the Earth’s surface in LEO, where they will find stunning views of the Earth. The hotel will orbit Earth every 90 minutes — those aboard will see an average of 16 sunrises and sunsets every 24 hours. On return to Earth, guests will be treated to a hero’s welcome home. Artistic rendition of the interior of the Orion Span hotel. 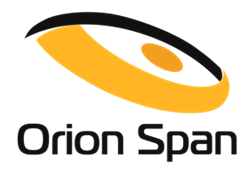 Orion Span officially made the Aurora Station announcement during the Space 2.0 Summit in San Jose, California. The company’s leadership team includes Chief Executive Officer Frank Bunger, who is a serial entrepreneur and technology start-up executive credited with multiple startups under his belt; Chief Technology Officer David Jarvis — a lifelong entrepreneur, human spaceflight engineer, and payload developer with breadth and depth in the management and operations of the International Space Station (ISS); Chief Architect Frank Eichstadt, who is an industrial designer and space architect credited with being the principal architect on the ISS Enterprise module; and Chief Operating Officer Marv LeBlanc – a former general manager and program manager with decades of executive space experience running operations and mission control. Frank Bunger said the company developed Aurora Station to provide a turnkey destination in space. Upon launch, Aurora Station goes into service immediately, bringing travelers into space quicker and at a lower price point than ever before noted, while still providing an unforgettable experience. Orion Span has additionally taken what was historically a 24 month training regimen to prepare travelers to visit a space station and streamlined it to three months, at a fraction of the cost. 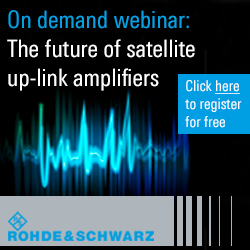 The company's goal is to make space accessible to all, by continuing to drive greater value at lower cost. He then added that Aurora Station is incredibly versatile and has multiple uses beyond serving as a hotel. Full charters will be offered to space agencies who are looking to achieve human spaceflight in orbit for a fraction of the cost — and only pay for what they use. The company will support zero gravity research, as well as in space manufacturing. The architecture is such that capacity can be easily added, enabling the firm to grow with market demand, such as a city growing skyward on Earth. 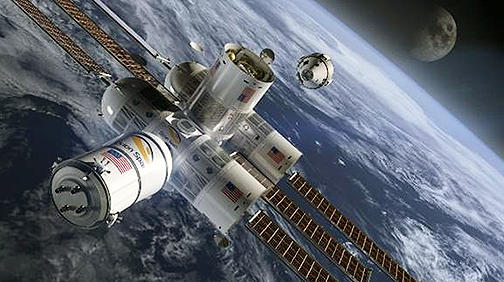 Dedicated modules will be sold later as the world’s first condominiums in space. Future Aurora owners can live in, visit, or sublease their space condo. This is an exciting frontier and Orion Span is proud to pave the way.